If you are in an industry where you are selling a product or service (and this includes job seekers), you have to make the effort to speak clearly, particularly in telephone conversations. Mumbling your words and garbling your sentences means that you are not speaking clearly – and not speaking clearly can be expensive to you and/or your business. You could lose the sale, lose the customer or lose the job. This is only a small but important part of the communication process, and you need to understand the cost of bad verbal communication in your personal and business life. Tell them you don’t have time and hang up? In the above example, that company/person has just lost a potential customer, which means they have lost potential income. We all interact verbally with others every day of our lives because we speak to our families, friends, co-workers or customers. Sometimes these interactions take place face-to-face and other times we speak over the phone and because speaking is something we do all the time, we don’t really think about how we do it. Unless you have extreme patience, no distractions and much free time, you are probably like everyone else and you get annoyed when you cannot hear what someone is saying during a conversation because there is music blaring, bad cellular reception or, worst of all, they are simply not speaking clearly. There is nothing worse than having to keep saying, “Excuse me?” or “Pardon?” during a conversation, and in business if the person you are talking to is on the receiving end of garbled speech, they might just walk away or hang up the phone. As a job seeker, you need to pay attention to how you speak. 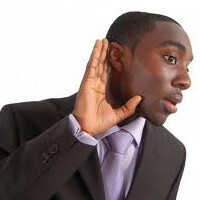 You have sent your CV out in application for jobs; now you need to remember to answer your phone properly just in case it is a hiring or recruiting company calling instead of your buddy because you could lose the job before you even know you were being considered. A recruitment company might be willing to overlook an initial “Howzit my Bud?” or rapper impersonation as a greeting but they are already forming an impression of you through that first contact. Ideally when you speak with people, you need to be aware of how you sound, particularly if English is not your main spoken language. It may seem unfair but English is the language that dominates business interactions across the world. The tips below are to help you improve your communication in terms of speaking better, these are only the basics when it comes to the physical act of speaking. Open your mouth when you talk, don’t keep your lips almost closed or your teeth clenched because this can block your voice from coming out properly. Stand or sit straight so that you can breathe properly because your breathing affects the volume of your voice and flow of your words. Speak slightly slower so that you say each word properly and give a small pause between each word so that each word can be heard. Avoid whispering or talking in a low voice because this makes it difficult for people to hear you. When you give someone your name; say your first name, pause for a beat, then say your surname. This way your name does not sound like one long word that is often not understandable. When giving out your phone number you should first tell the person that you are giving the number – ‘My number is’ and then pause and slowly give each number with a small pause between numbers. Be aware of words and/or numbers that sound similar and put extra effort into saying these words distinctly. If you are in a face-to-face conversation, keep your head up and face the person you are talking to so that your voice is directed at you. 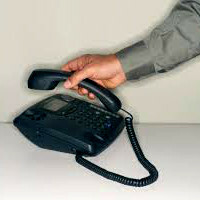 If you are in a telephone conversation, hold the phone properly so that the receiver or microphone is near your mouth. Practice saying certain words or sentences so that you become more comfortable in using them. Remember, how you speak affects other people’s perception of you, and bad speaking habits can annoy or irritate others so make the effort to improve how you speak. It is time to speak clearly!